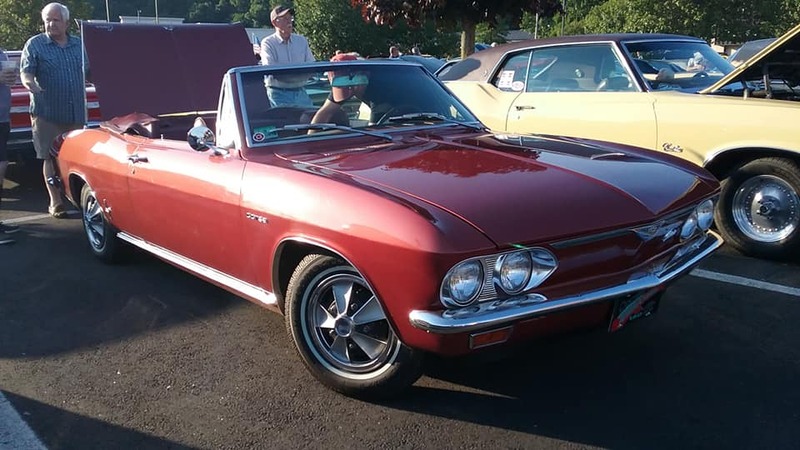 What makes it special: Chevrolet’s Corvair was a compact car manufactured for model years 1960–1969. It was the only American-designed, mass-produced passenger car to use a rear-mounted, air-cooled engine. Corvair models included a two-door coupe, convertible, four-door sedan, four-door station wagon, passenger van, commercial van, and pickup truck variants. The Corvair second generation arrived for model year 1965, noted for its lack of a “B” pillar and a new fully independent suspension replacing the original swing axle rear suspension. The Corvair used coil springs at each wheel. What made it famous: Chevrolet came close to retaining “Monza Spyder” for the turbocharged Corsa, but switched at the last moment. The Corsa retained the handsome brushed aluminum dash and full complement of instruments of the Monza Spyder, though it could be had without the turbocharger: the 140 horsepower engine with its four carburetors was standard on Corsa’s. The 180 gave the Corsa performance amounting almost to drag strip stuff for a six-cylinder car: 0-60 in 11 seconds, the standing-start quarter-mile in 18 seconds at 80 mph. Top speed was 115, given enough straightaway, yet gas mileage still averaged around 20 mpg. Corsas could be identified at a glance from their brushed aluminum rear deck panel. A convertible and two-door hardtop were offered, and production was triple that of the previous Monza Spyders. Why I would want one: I’ve always liked the Corvair, even though it received bad press due to supposed safety standards. Putting a turbo in a little car like this can only lead to some fun, low-budget thrills. Fun fact: The name “Corvair” is a portmanteau of Corvette and Bel Air. The name was first applied in 1954 to a Corvette-based concept with a hardtop fastback-styled roof that was part of the Motorama traveling exhibition.